When it comes to love, it can be hard to find the right person that you want to spend the rest of your life with – but when you share the same nerdy interests, it’s always a good sign. 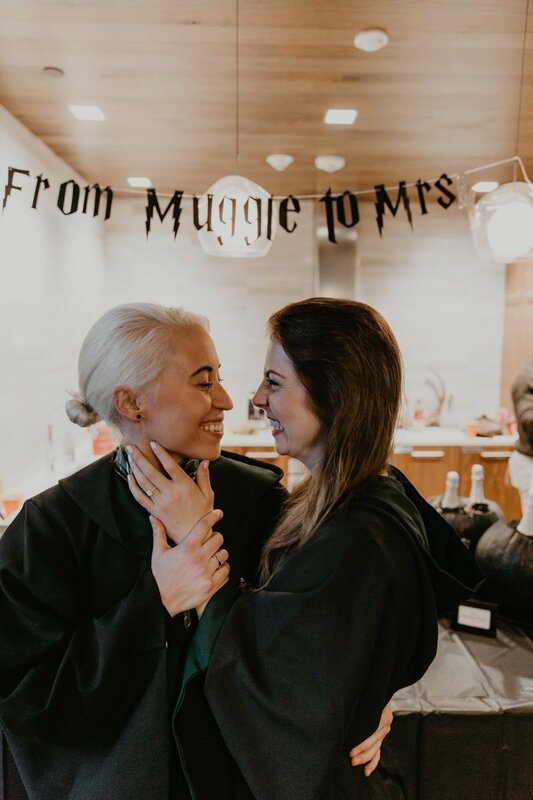 That’s certainly the case for Heather Pearson and Kelsey Stacey, a couple from Portland, Oregon, who share an obsession with the Harry Pottwe series. 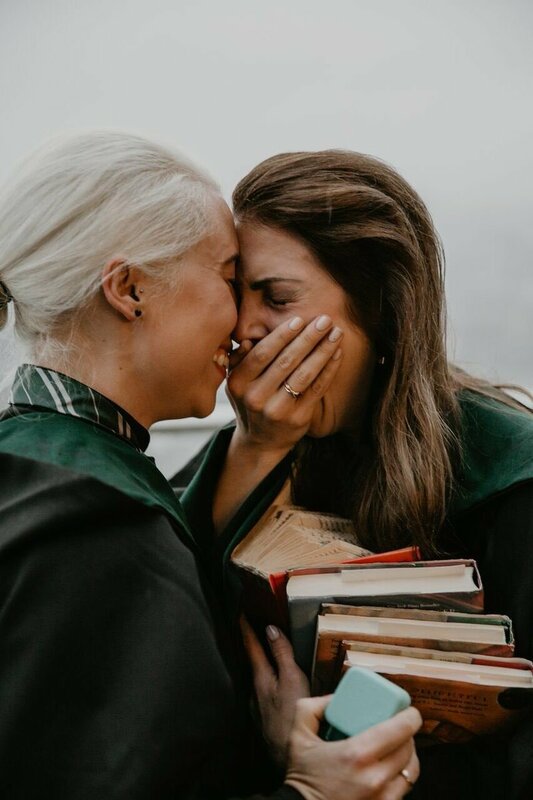 When Heather decided that she wanted to propose to Kelsey, she knew that her proposal would have to heavily involve their favourite series – and boy, did it! 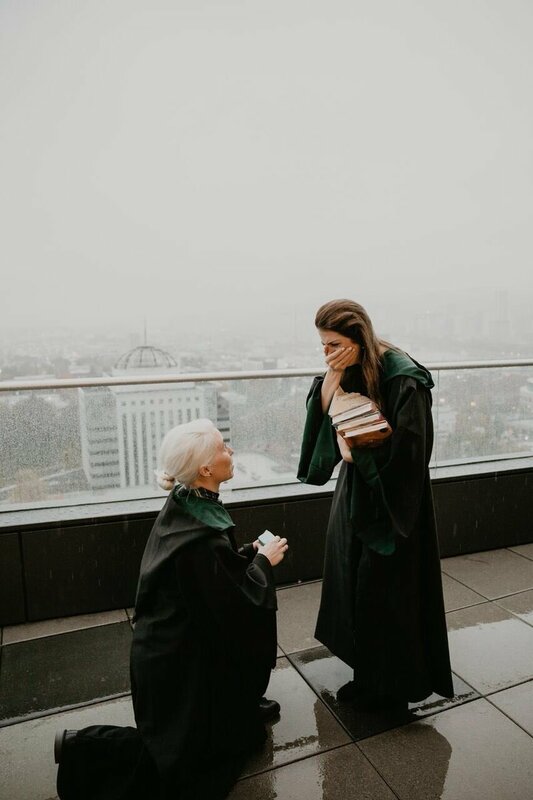 Pearson planned the proposal “for about a year,” before finally sending Stacy on a Harry Potter-themed scavenger hunt on Halloween day. What Stacy didn’t know at the beginning was of the scavenger hunt was that her life was about to change forever. The story of the proposal was shared on Youtube, and you can watch below. Be prepared to shed a happy tear or two! The pair, who are Slytherins, already owned matching robes and wands. So how did she pull this incredible proposal off? Well, as the fateful day got closer, Pearson convinced Stacy to help her throw a Potter-themed Halloween party. What Stacy didn’t know is that she was actually helping to plan her own engagement bash. 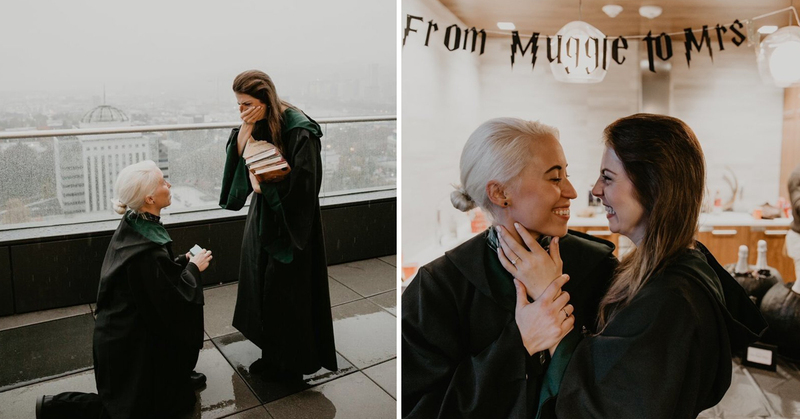 On Halloween, Stacy was led on a scavenger hunt that took her all over the city, seeing old friends and finding copies of the Harry Potter books with love letters from Draco Malfoy inside. This is incredibly romantic in itseld! Of course, Kelsey said yes – I mean, how could you not?! The couple’s friends cheered and the pair shared a tearful kiss, and their celebratory tweet soon went viral on the internet. As you would expect, the happy couple went absolutely cuckoo with joy when they saw that the author of their favourite books had seen their story and congratulated them. All the best to Kelsey and Heather for the future!